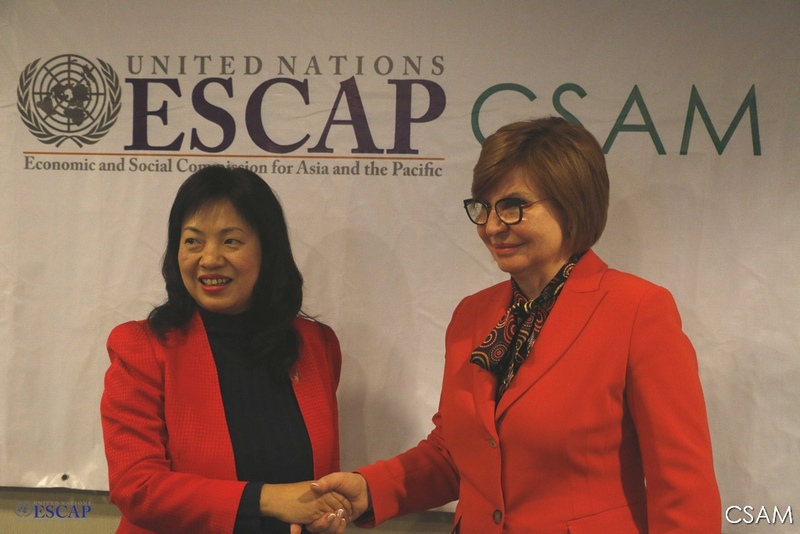 On 24 January 2019, the President of Moscow State University of Technologies and Management, Professor Valentina Ivanova, accompanied by her private sector partners, visited ESCAP-CSAM premises to share the university’s programme of work, promote partnerships and explore collaboration potentials. Prof. Ivanova shared her perspectives on the future of education and talent development in agricultural-related sectors for the rejuvenation of the agricultural workforce. She illustrated the University’s curriculum and the plans for developing and promoting e-agriculture and automation, including through artificial intelligence and smart phones. Prof. Ivanova also introduced some of the stakeholders that are partnering with the University in the field of agriculture. During the meeting, Ms. Li Yutong, the Head of the Centre for Sustainable Agricultural Mechanization (CSAM) briefly introduced the work of CSAM dedicated to improving production gains, rural livelihood, and poverty alleviation through sustainable agricultural mechanization. 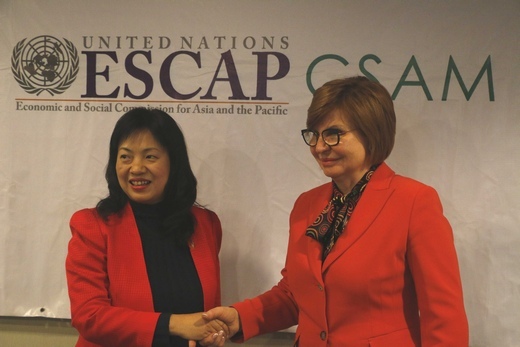 Through a series of demand-driven programmes, CSAM partners with various counterparts in the Asia-Pacific region including other international organizations and academia to develop agricultural-related sectors in its member countries and accelerate the advancement and sustainability of the agricultural industry towards achieving Sustainable Development Goal (SDG) 1 (No Poverty), SDG 2 (Zero Hunger), and other interlinked SDGs. Prof. Ivanova concluded presenting an upcoming conference to be held in Moscow in March around the theme of e-agriculture, and invited CSAM to participate as the first step to enhance collaboration.